There is no need to fly to Dubai for your fix of designer goodies. Online shopping for Pakistan is here! There’s no therapy like retail therapy. Whether it’s window-shopping, trying on multiple outfits, or finding something cute on sale, shopping may lead to a state of euphoria akin to falling in love. And now, it doesn’t matter where one lives as long as there’s Wi-Fi to enable one’s virtual shopping fix. An example of online shopper’s adrenaline rush: clicking your way through an online bidding war with a young woman in Tokyo over a handbag made in Italy that’s sold in America and, if you succeed, your prize is subsequently shipped over to you in Pakistan. Yes, you’ve got it right; as Pakistan-based consumers, we’ve been used to visiting online shopping sites and browsing the “what country are you?” dropdown menus and seeing no ‘Pakistan’ option between ‘Oman’ and ‘Panama.’ So it comes as a pleasant surprise that our country has finally been added to a growing number of international retail sites, along with the PKR currency option (where available). Call it a global marketplace or a shrinking world economy, retailers are increasingly focusing on international customers and franchisees to mark profits or even help keep afloat. Worldwide vendors like International Checkout and Fifty One provide retailers with a global customer base by handling the entire export process for them. For example, Macy’s (a popular US department store) expanded its international shipping destinations to include 91 countries (including Pakistan, yippee) last June reflecting a globalized outlook and customer base. While shoppers are required to pay international retailers via credit card or Pay Pal, Pakistan-based businesses offer multiple channels of payment, including wire transfer and C.O.D. 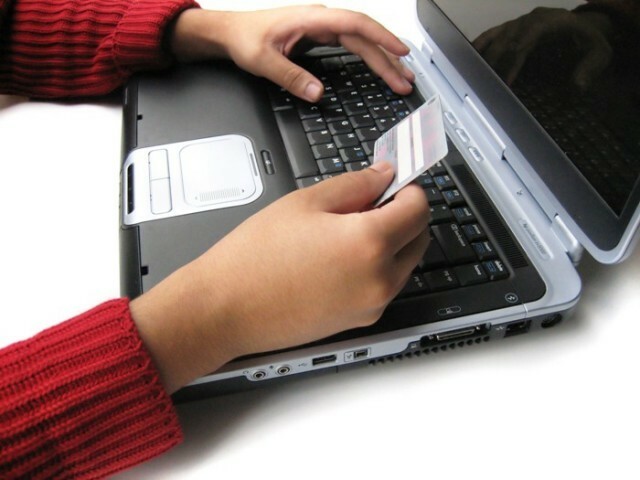 (cash-on-delivery), for shoppers uncomfortable with providing their credit card information. Along with shipping to clients within Pakistan, some businesses also ship worldwide. – Department Stores: everything under the sun, from apparel and accessories to toys and furnishings. 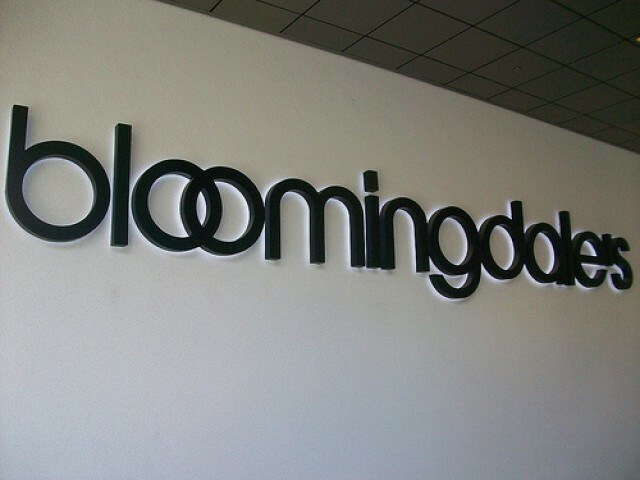 Bloomingdales the famous ‘department store with it’s signature ‘brown bags’ offers a tasteful array of merchandise. Macy’s frequently has great sales of mid-priced brands. Marks and Spencer is a UK favourite for basics. Saks Fifth Avenue has an array of luxury and mid-priced labels. Desi: Sanaullah offers lawn collections and apparel for women, men and children online as well as at its Karachi location. – The High Street: shopping mall staples. A Pea in the Pod carries various maternity labels for expecting mothers. Athleta provides gym outfits and sports accessories for women. Banana Republic carries preppy attire for men and women. Bebe retails women’s apparel and accessories. Old Navy has casual, low priced clothing for men, women and kids. 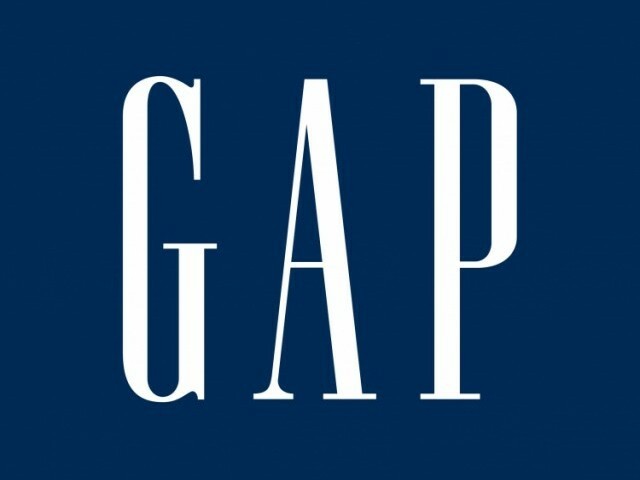 The Gap is synonymous with casual, all-American clothing for men, women and teens. True Religion offers trendy denim collections for adults and children. Desi: Gul Ahmed retails unstitched and stitched apparel for women and men on its site in addition to retail locations around the country. 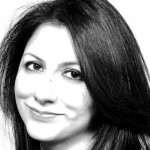 – Boutiques: focusing on distinctive styles. Gypsy retails Hollywood trend-inspired clothes for adults and kids. Kitson is a trendy LA based boutique for women, men and kids. Magaschoni is a stylish New York based women’s label. Miss Me carries jeans and casual apparel for women. Posh Girl Vintage sells pre-worn styles including retro and 70s. San Diego-Harley Davidson offers biker inspired apparel for men, women and kids. The Row has sophisticated apparel and handbags for women. Desi: Elan is a high-end, Lahore-based couturier that provides an online order form for clients in all locations. Multibrand designer boutiques: featuring contemporary labels. Revolve Clothing: includes Marc by Marc Jacobs. Shop Bop includes Alexander Wang. Desi: Enchanted Jewels by Saba Ghauri are sold at multibrand boutiques and shipped in Pakistan and worldwide. Desi: Jewelicious is a Lahore-based retailer of affordable jewelry. Desi: Krizmah showcases its handbag collections that are crafted in Chitral. Desi: Luscious Cosmetics offers deliveries of its products within Pakistan. Arden B featuresoutfits for teenaged girls and young women. Miss Selfridge is a popular UK label featuring fun apparel and accessories for girls. Wet Seal carries casual ‘Juniors’ styles for girls. HauteLook a multibrand retailer of labels including Urban Decay. Desi: Uth Oye! offers trendy T-shirts for guys and girls. Desi: Goddess Collection by Shen provides trendy casuals and party wear made to order in Karachi. Desi: MyOffstreet provides online retail listings for major cities. Kids: newborn to 14 years. Alex and Alexa carries children’s luxury brands including Roberto Cavalli and Burberry. Baby Gap retails classic all-American casuals from newborn to 6 years. Delish Apparel Imports retails US labels like Bonnie Jean and Rare Editions for little girls via C.O.D. in Pakistan. Dija offers online orders for children’s desi clothes based out of Lahore. Gap Kids retails classic all-American casuals from 7 to 14 years. The Children’s Place offers cute apparel at recession-friendly prices. Desi: Swirly twirly Hair Bows sells handmade hair accessories for girls. Undies: Note to drooling male customers—models aren’t included with your purchase. Fig Leaves features many brands for women, men and teens along with sleepwear. Jockey specializes in no-frills cottons for men and women. Victoria’s Secret offers swimsuits, clothing, shoes and, of course, lingerie. Shoes: from stilettos to sneakers. Chinese Laundry retails trendy women’s footwear in materials including genuine and faux leather. Foot Locker is a major retailer of athletic footwear from Puma to Ed Hardy. LK Bennett is a High Street brand favoured by the Duchess of Cambridge. Piper Lime offers shoes, apparel and accessories for women, men, teens and kids in various labels including Kate Spade and J Brand. Desi: The Shoe Snob retails footwear from Hong Kong and Singapore from Xenab’s Atelier in Karachi. Reading and Leisure: books, Kindle, eReader, DVDs. Amazon USA and Amazon UK offer a wide selection including books, clothes, gadgets and gifts. Barnes & Noble primarily focuses on books and gifts. Overstock provides various categories from jewelry to office. Desi: Click DVD is a Lahore based DVD delivery service. Desi: Go DVD is a Lahore based DVD delivery service. Desi: Liberty Books is a Karachi based bookseller that also offers online purchases. Home: décor, furniture and gadgets. Crate & Barrel is a stylish destination for interior and exterior furnishings. Pottery Barn and Pottery Barn Kids offers a cozy array of home interiors and accessories. 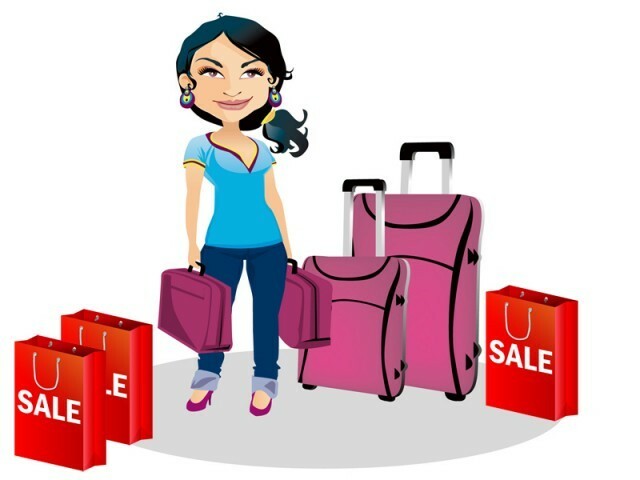 Desi: ShopaholicPK is a source for discounted appliances and gadgets for home and office use. Party planning: from weddings to kids’ parties. My Little Cupcake specializes in cupcake pops (mini cupcakes on sticks) in various flavours and delivers worldwide. Party Pail offers themes for celebratory events including birthday parties and baby showers. Desi: Funky Bakes are made-to-order cupcakes and cakes in Islamabad. Desi: Mahj Design Studio is a Karachi based design service specializing in invitation cards that delivers worldwide. Desi: Nirala offers mithai-delivery services in Pakistan and worldwide. Desi:Party Place is a children’s event planner based in Islamabad. Desi: Party World Crafty Creations retails birthday themes and rentals in Karachi. Desi: Sugar n’ Crumbs features a detailed online order form for specialty cakes in Islamabad. Desi: Trinketz is an Islamabad based designer of birth and wedding announcements. (Note to readers and retailers: please feel free to add more retail hyperlinks in the ‘comments’ section below). Pakistan inspires Hollywood, but for all the wrong reasons! Thanks for this super comprehensive reference Laaleen. you are awesome. Thanks for your kind comments, everybody. @Usama, international shipping is expensive but there are discounts sometimes–one of the UK sites even has a free international shipping offer going on right now (unfortunately, I can’t recall which one it was). The Pakistani sites offer free or low cost courier services so try those. hahaha dude what is wrong with you? Also, get a UBL Wizcard. You can add money when you need to use it, and it works on most websites online. just4girls.pk (don’t go after its lame name :P) is a great place to shop in Pakistan for all the International makeup and other beauty stuff.